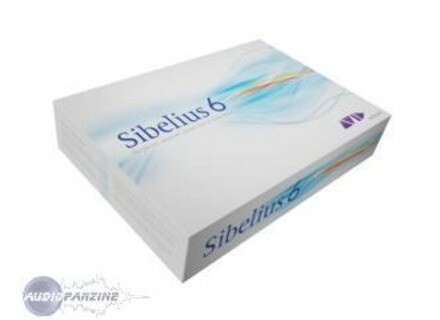 Sibelius 6 Pro, Score writing software from Sibelius. Avid has unveiled version 6 of Sibelius music notation software. According to Avid, Sibelius 6 includes an innovative toolset designed to provide aspiring and professional musicians with a more efficient approach to music composition. Designed by musicians, Sibelius 6 offers a number of new features including a Magnetic Layout tool. Students, educators, academic institutions and composers can also take advantage of Sibelius 6 workflow improvements that are designed to facilitate greater collaboration, classroom management, and creative control, through the ability to track progress during review cycles and deliver smooth integration with Digidesign® Pro Tools® systems and other Digital Audio Workstations (DAWs). What's New in Sibelius 6? --Magnetic Layout - designed to cut the writing time between the moment of inspiration and the final printed score -- all individual objects are positioned conventionally on the score where musicians expect to find them. The software automatically spaces and lays out scores to look professional and clear from the very first note. Previously, aligning individual score objects required time-consuming manual adjustments which now occur transparently to the user. -- Versions - enables educators to track student progress, spot plagiarism and promote collaboration. Students can record progress and submit creative commentary with their final coursework. Professionals now have a effective way to track changes or collaborations with copyists, orchestrators and publishers by saving, manipulating and comparing revisions of a work piece within a single file. -- Keyboard and Fretboard Windows - provide a visual approach to the music education process, allowing aspiring musicians and composers to follow lighted key and finger positions as a score plays back -- reinforcing the relationship between staff and tab notation with real instruments. These windows also create a new way for customers to input music directly from an on-screen piano keyboard or guitar fretboard, as opposed to using conventional methods such as clicking on the staff of the note or typing the note names on the computer keyboards via a separate MIDI keyboard. -- Classroom Control - offers a simple and single window for common classroom management tasks. This enables educators to keep students on subject by creating a streamlined approach for sharing files across the network during review cycles and facilitating daily classroom instruction. Messages sent by the educator appear on the student's workstation screen. Now, educators can easily attract attention despite any challenges in the teaching environment, such as students wearing headphones. -- ReWire Support - simplifies the once challenging process of incorporating audio tracks into notation-focused projects, making it an ideal tool to facilitate a film's orchestral session. By synchronizing Sibelius software with Pro Tools software (or other DAWs running on the same computer customers can start real-time playback in Sibelius and the DAW will follow, or vice versa. Further, composers or orchestrators can easily add a vocal to a song created with Sibelius or augment an existing recording for enhanced creative options. 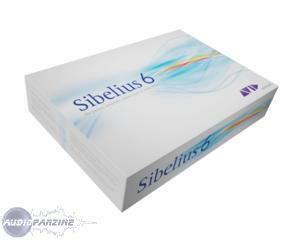 To try Sibelius 6, download a demo version of the software. MeldaProduction Plug-In Updates MeldaProduction has released updates for all of its free VST plug-ins.